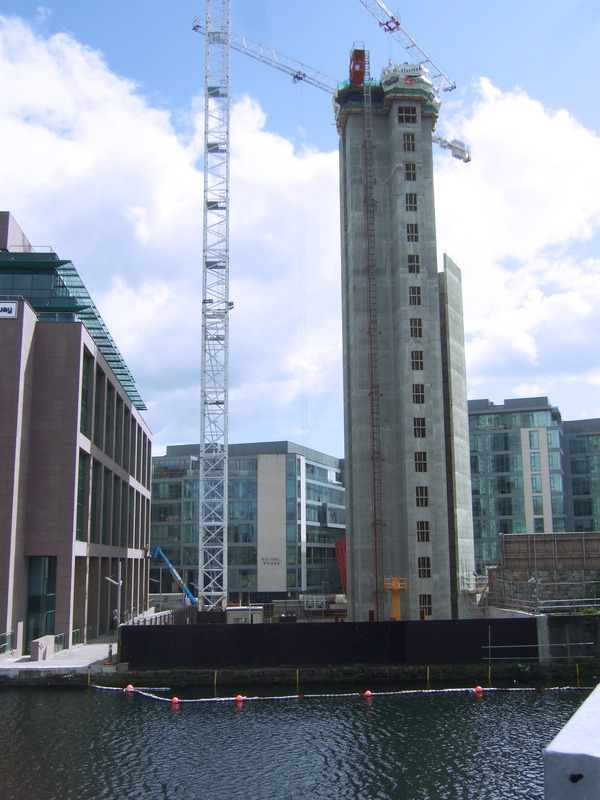 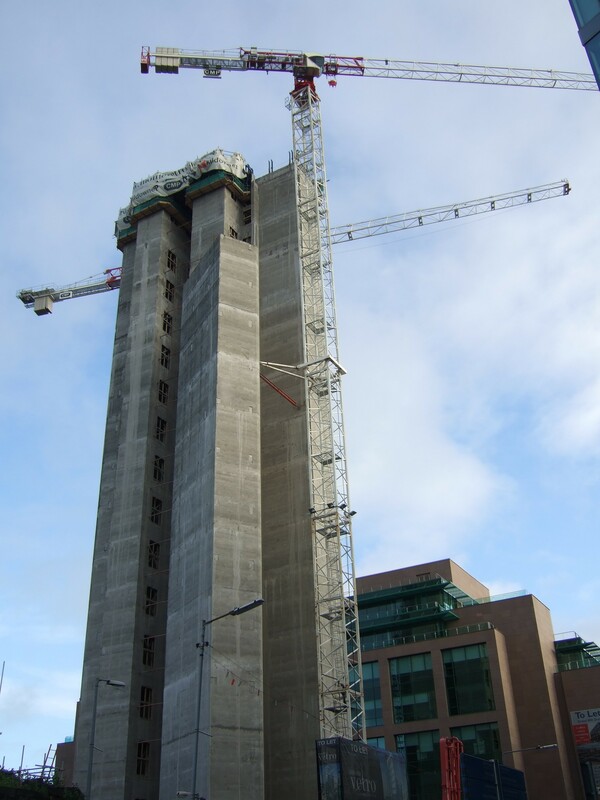 Top marks for Slipform International at the Montevetro development in Dublin, a €92.6 million project. 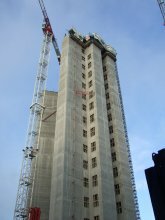 Slipforming proved the way to go at this landmark location in Barrow St. close to the city centre and the new Lansdown Road stadium. 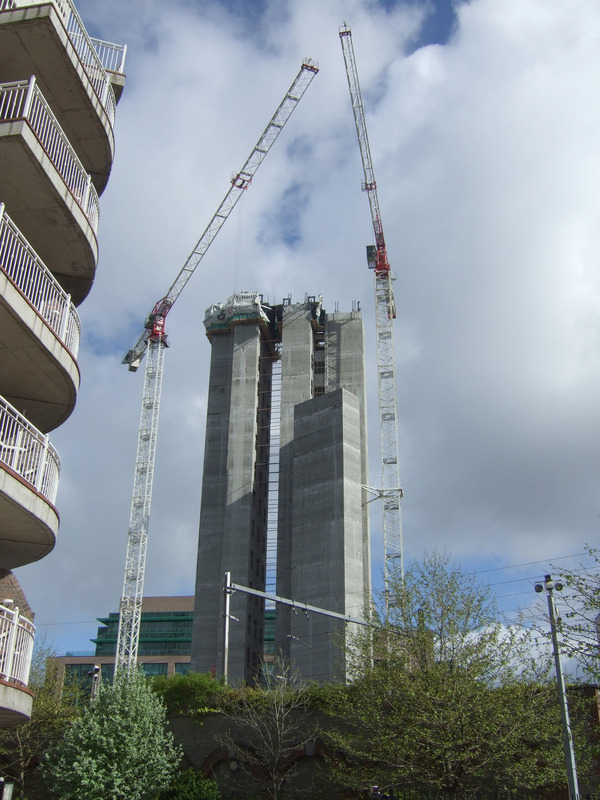 A confined site with congested access proved no delay to achieving outstanding progress. The 19 days of slipforming averaged 4m per day with up to 168m³ of concrete being poured in a single shift. The rapid construction of the 75.5m tall core was completed, with an excellent finish, to within a tolerance of +/-6.0mm.